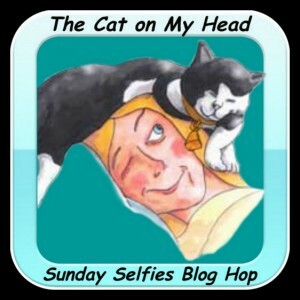 This entry was posted in Blog Hops and tagged Build-a-Bear, Joanie, Prancie, Sammy, The Cat on My Head Sunday Selfies Blog Hop, Trouble by pilch92. Bookmark the permalink. Awww! That’s a precious kitty, i am glad you got to have fun making it. Thank you. I had a lot of fun. I didn’t know Build a Bear had kitties! Now my human wants one. And for petcretary its a Pipo!! MOL! Now you can hug and kiss you furry own meezer kitty! Wait till the Great One see her!! Sorry I have been rather AWOL of late…now I have a million blogs to try and catch up with…try being the operative word, MOL! Hi Nellie! You sure are living in a super house now – I’m glad Miss Ellen “brought you to life” at Build-A-Bear so you can join the house full of kitties there. I’m glad you are making friends. Hi Nellie! You are correct she looks like Marv’s Angel sissy. OMCs had not thought of building a Madi likeness. Nellie is such a cutie! So, was build-a-bear above or below Nicholas Cage on your list? Oh I love Nellie! So cute. That is so cute! Looks like one of you got a soft toy to snuggle with – MOL! I’m sure the rest will ‘warm up’ to Nellie soon. How wonderful you got to have some fun. Now, if Nic Cage would just stop by. ~grin~ I hope you have a lovely day! That kitty is just so cute and what a great name for it. I’ve heard about ‘Build-a-Bear,’ but I didn’t know you could build a stuffed kitty there, too! I could always use another look-alike mute pal. Tee hee hee. They have mostly bears, but some kitties and dogs too. Hello Nellie ! Glad you found a tortie friend ! Nellie is so cute!!! We’re sure you let us know when you meet Nicholas Cage!!! Nellie turned out so cute! Aw, how cute! I held a birthday party for my younger daughter at a Build-A-Bear when she was 6 or 7. It was a lot of fun! That sounds like fun. My niece said she would probably do the same for her daughter when she is older ( she is 3 now). I must say I did not know bears were popular with cats! Ooooh how exciting to go to Build a Bear. have never been and your cat looks wonderful. Awww, Nellie is a real star, too! Maybe if youput a cage down, that Nicholas will come and live in it? The pictures are very cute ! Arthur used to play with a monkey bigger then him ! (He was younger too) I didn’t take a picture of Kim, becausee it’s always the same, she sleeps in her bathroom and I think she eats only during night. But that is good as long as she eats !! I always enjoy seeing Kim , even if she is just sleeping. That kitty is so cute! I like that it stands like a cat instead of some of the “teddy bear” style cats they’ve had in the past. Same here 🙂 They had the other kind too, but I liked this one. Nellie is purrfectly adorable! For the longest time, I thought Build-A-Bear only allowed you to build, well, bears. Then I found out they offer kitties and more, and now I really need to find one to visit. Joanie, you are so sweet to let Nellie be your friend! Do she and Gremmie get along? What an adorable kitty! I’ve never seen one before.